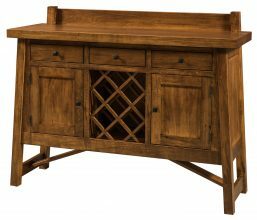 At AmishOutletStore.com, we have a great selection of Mission- and Shaker-style dining room furniture available for sale. All our products are crafted out of kiln-dried northern hardwoods using traditional Amish techniques. As a result, they make an attractive centerpiece in any home, and can be counted on for years of use. 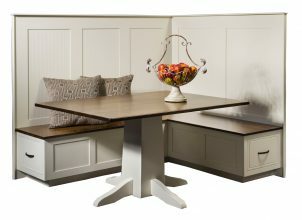 AmishOutletStore.com carries everything necessary to put together a complete dining room furniture set. Pick and choose from our collection of tables, chairs, sideboards, hutches and more, or check out our matched packages containing everything you need in one place. All Amish dining room furniture can be customized with your choice of stains and other design options. Because none of our products are mass-produced, each is different, and you have the freedom to put your own unique stamp on your purchase. Follow the links below to visit individual product pages, where you’ll find more information and detailed specifications. Rustic: Rustic furniture is characterized by its use of natural wood rather than cut timber. Rustic dining room furniture has been gaining in popularity in recent years as part of the “modern farmhouse” aesthetic. A rustic Amish dining room table makes an impressive centerpiece, particularly in larger rooms. Check out some of the many great pieces available by following the links on this page. Shaker: Shaker dining room furniture is a perennial favorite, with roots dating back to the utilitarian designs of the late 18th Simple and functional, Shaker-style dining tables and chairs blend in easily with a number of different types of decor, providing an ideal complement to stainless steel appliances and other contemporary fixtures. 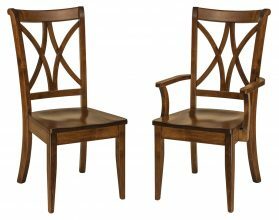 Mission: Mission-style tables and chairs share much with Shaker dining room furniture, but generate additional visual interest through ornamental features such as bevels and slats. Mission furniture is usually heavier and more solid than Shaker-style, and it’s typically constructed of woods with a strong grain, such as quartersawn oak. Because each of our pieces is crafted by hand, “rustic,” “Mission” and “Shaker” are not so much clearly defined style categories as they are visual cues. Many of our dining room furniture sets contain elements of all three. Wherever your tastes lie, you’re sure to find something that works for you in our online store. Keep browsing our website to learn more, or contact our customer service team for direct assistance. Wood: All our Amish dining room furniture is constructed entirely of solid wood — no composites, veneers or plywood. Woods are carefully chosen for their durability and good looks. Most of our tables and chairs are made with red oak, quartersawn white oak or cherry. These and other hardwoods offer excellent scratch and dent resistance — important considerations in a busy dining room. They also have natural variations in color and grain, ensuring each of our solid wood dining room tables is truly unique. Stain: When it comes to stains, you’re limited only by your imagination. As a general rule of thumb, darker stained furniture absorbs more light, and can make a smaller room look cramped or overly busy. 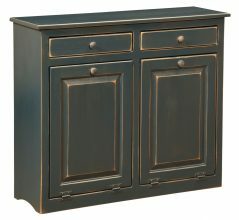 However, a single dark piece can make a nice contrast in a room full of lighter or blond wood furniture and cabinetry. Darker colored woods have the additional advantage of masking stains more easily — a useful benefit in a dining room table you intend to keep in the family for years to come. Learn more about your options by exploring the many pieces that make up our collection of Amish dining room furniture. Making the most of limited space is an important concern for many homeowners. 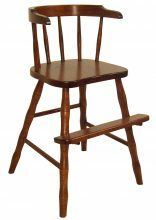 If your dining room is on the small side, it doesn’t mean you can’t have quality, Amish-made Shaker-style furniture. Choosing a narrower table not only leaves more room, it also brings diners closer together, encouraging intimacy and conversation. 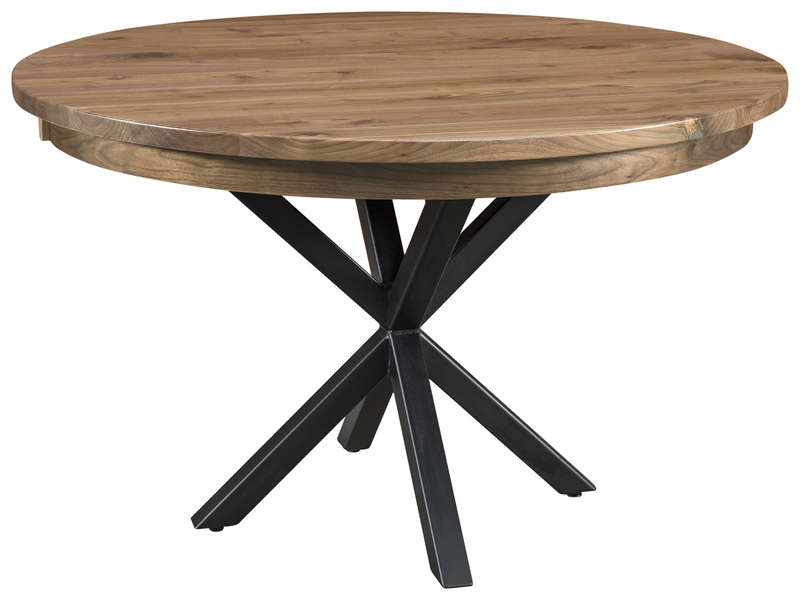 Remember, you can add extra leaves to many of our solid wood dining room tables, making it easy to entertain additional guests on special occasions. Other ways to enjoy the most from a smaller dining room include using barstools instead of conventional chairs — a great option for more casual dinners around a kitchen island. A tea cart or bar cart on wheels can be brought in for additional counter space when necessary, and stored when not in use. Low profile storage solutions, such as our benches and hutches, provide a convenient place for clutter without blocking out light the way a taller cabinet does. You can also make a small room feel bigger with smart design. Use accent pieces that draw the eye to different parts of the room and add mirrors to create depth. Throw rugs and distinct lighting can break up a space into different areas, making it seem larger. For more great design tips and advice, contact our office to speak with a team member directly. 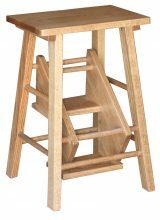 When you buy Shaker-style wooden dining room furniture from AmishOutletStore.com, you’re paying for craftsmanship that will stand the test of time. We believe quality furniture is something everyone should be able to afford, which is why many of our most popular items are available online at prices up to 33% off retail. You’ll also qualify for additional discounts for larger orders, or if you pay by check. A hardwood dining room table and chair set is something that will be an integral part of your home for years to come. When you’re ready to upgrade from cheaply made, mass produced items, choose Amish dining room furniture for quality that will last a lifetime.